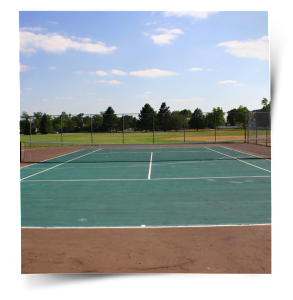 For fast and professional service, call Anello Fence to install your tennis courts new, top of the line fence. Fencing systems are an integral part of any tennis court. The primary purpose of your fencing system is to keep the tennis balls contained within the court. However, security is another factor when it comes to choosing a fencing system for your court. Whatever your situation, Anello Fence can offer you the ideal fencing solution for your tennis facility. Call us today with any questions.